on 21st April, 6 pm. Our environments are ever changing. Plenty of information and images reach us. We have lots of options and decisions to take. 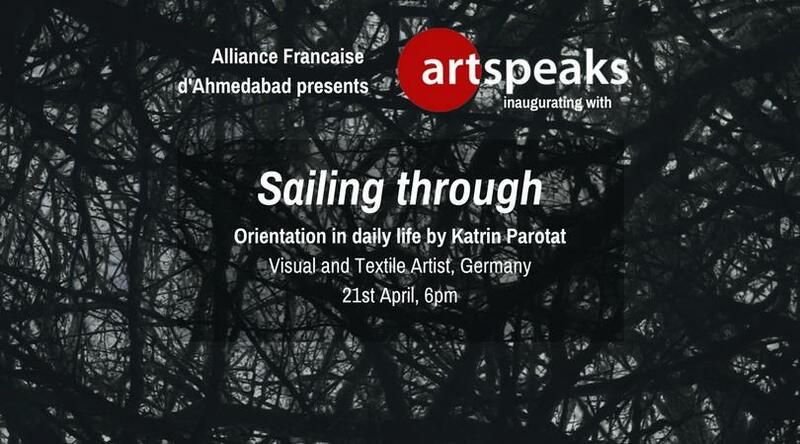 Katrin Parotat, a Textile Artist, took aspects of orientation and transformed them into artwork. She did research, observed her surrounding and experimented about this vast term. Her artistic approach is visualizing challenges and methods of orientation. Meanwhile Katrin Parotat is searching for the potentials of orienting in todays society. “Sailing through” is a laboratory, an exhibition, an open space and an invitation to participate in The Artist Talk about orientation. The show contains selected works from the feeling of being lost to the importance of fixed points. The visual output varies from video installation, drawing and installation.